I always thought there was something kind of quaint and Victorian about Brooklyn during the holidays. 1. It has been a little tough to get into the holiday spirit this year. Not for any specific reason, it just… doesn’t feel like the holidays. Maybe I haven’t listened to enough Christmas music, or maybe I did myself a disservice by doing ALL of my shopping online, but… it’s tough to get into that headspace for me right now. This has not always been the case. The first five years I lived in New York, I worked for a major publishing company with an office in Midtown, not far from Rockefeller Center, and that is a place where the holidays basically hit you in the face. I could have done without the crowds, but I liked all the decorations, the lights, the buskers playing “Silver Bells” on saxophones, all of that. I always thought there was something magical—and tourist-y and commercial, sure, but generally magical—about New York at Christmas. I think my early years in New York were characterized by a lot of wide-eyed, “People come from all over the world to see this, but I live here.” Perhaps now that I’ve lived here for ten years I am a little long in the tooth, a little more cynical, a little less awed by the same old stuff every year. But I find the idea that this city might not still capture my imagination the way it used to a little depressing. So, come on, New York. You’ve got, like, four days to do something impressive! 2. Although, speaking of New York at Christmas, I went out last Saturday night and ran into Santa Con, an annual… thing… in NYC wherein hundreds of people dress in Santa suits. Normally I think it’s cute, and there’s something really funny to me about a proliferation of Santas in the city, but I’m less impressed when the influx of red-suited individuals causes there to be a wait for a table at a restaurant that’s usually not crowded on Saturdays. 3. Speaking of writing, I started a new story that is a play on a favorite trope of mine, someone world-famous paired with a regular guy. Writing it is going very well. I’m hoping to spend a lot of the next week on that. • Out in the Field and Lead Us Not were nominated for a couple of the Goodreads M/M Romance Group’s Members Choice Awards, and that is quite awesome. 5. Well, that’s all I got this week. Happiest of happy days to you and yours! Thursday was insane and stressful and I’m glad it’s over! Let’s Friday it up! 1. Saying! The obvious headline is the article on m/m in RT. I had the opportunity to talk to the author of the article a couple of months ago, so she quoted me, along with Damon Suede, Heidi Cullinan, Kate Douglas, Josh Lanyon, and some others. The article is pretty great and you should check it out. I have a whole list of new ideas. I’m hoping for more free time in August to pursue them. 4. Doing! Earlier this week, a friend of mine had an “I quit my job to get an MFA!” party in the East Village. The party was at a nice bar on Avenue C. I can’t think of the last time I was that far east in Manhattan. Here’s your bit of insider New Yorker knowledge: I hate going to the East Village because it’s really inconvenient, subway-wise. This was the sort of special occasion I make an exception for, and I’m really psyched for my friend (also kind of jealous, because if I could afford to quit my job to focus on my writing, I would do it in a hot minute). Anyway, I walked East on Houston on a hot night and reflected on how different and weird and outside of my usual zone it was. That’s the funny thing about New York; most residents stay in their section of the city and don’t venture out of it much. That I both live and work in the same part of Brooklyn means I don’t leave a 2 mile radius all that often. It’s kind of sad, now that I think about it. So hooray for friends making me go places I don’t usually go! There’s a whole big city out there! I’m also pretty psyched for the Olympics. I like sports! I’m going to watch as much of the coverage as I can, and I’ve got TWO Olympics-related apps on my phone. My favorite things to watch are gymnastics, diving, track, and swimming (how hot are swimmers?) but I usually also pick some random sport to follow, and this year, I think it’s going to be women’s weightlifting, because how great is Sarah Robles? So great! Strongest woman in the US! 5. Linking! 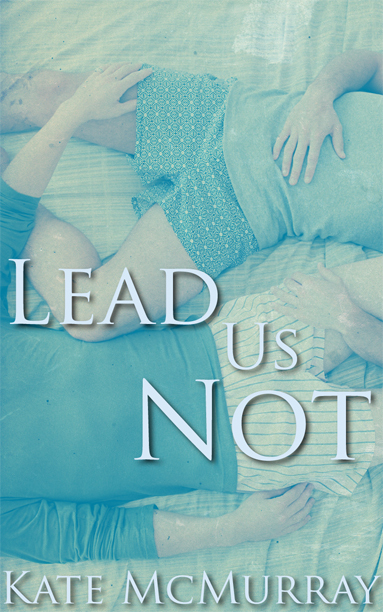 Lead Us Not got a nice review from Rainbow Book Reviews. That story is still totally free. You can click on the book cover in the sidebar to get to the download links. Good news first: “Lead Us Not” got a five-star review from The Novel Approach. Also good: Out in the Field got a 4-star review from The Romance Reviews. That was pretty swell. I’m hoping to spend a good chunk of this summer focusing on my writing. I started a bunch of new things this winter that I never got around to finishing. So I’m excited about that. You should be, too, because that means hopefully more books next year! My problem right now is deciding where to focus—I think contemporaries are my bread-and-butter, but I’ve got a few historicals that I’ve started and I have this insane idea for an epic fantasy. I KNOW! It keeps things interesting, though. You can now download my short Lead Us Not from All Romance eBooks! For FREE! Yay! My story for the M/M Romance Goodreads group‘s Love Is Always Write event, called “Lead Us Not,” is now available. Check out my book page for it, where you can download it in EPUB, MOBI, or PDF for all your e-reader needs. Sometime this week it will also be available at Goodreads and ARe. A few notes on the story: When I decided to participate in Love Is Always Write, it occurred to me that I wouldn’t be writing for a publisher, so I had some room to experiment a little. Which is not to say I didn’t take the challenge seriously! It also occurred to me that that this could be the gateway to my writing, that some people who have never read my books or never heard of me could be reading the story, and I needed to make a positive first impression. But this is also the story I wanted to write, and as such, I’m committing two cardinal sins: the story is told in alternating first-person narratives, and it’s told in present tense. I know. But I wrote the first chapter almost immediately after I got my prompt, and Jess’s voice was so clear in my head that I just… wrote it. But I knew I needed Sam’s POV, too. So, that is what the story became. Probably some readers won’t like it, but I do know that I really like this story. It’s got some of my better writing, it’s very New York-y, and I really love these characters. These guys have known each other since college. They fell in love and went to New York to follow their dreams of being models and actors. They thought nothing could break them apart, but life is filled with temptations. Can these two remain true to each other or will fame tear them apart forever (please HEA story only, and I don’t approve of cheating, but if it happens I hope that two lovers can find a way to resolve things). So, challenge accepted, I wrote a story called “Lead Us Not,” and it is about temptation. Then I asked my fabulous friend Alexis to design the cover. I love the cover so much. You can drop me a comment in the group thread about the story.